Recombinant rat uteroglobin His fusion protein. This antibody is useful for distinguishing ciliated from non-ciliated cells in the adult mouse lung. 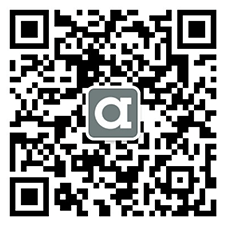 Our Abpromise guarantee covers the use of ab40873 in the following tested applications. WB 1/5000. Predicted molecular weight: 10 kDa. Binds phosphatidylcholine, phosphatidylinositol, polychlorinated biphenyls (PCB) and weakly progesterone, potent inhibitor of phospholipase A2. 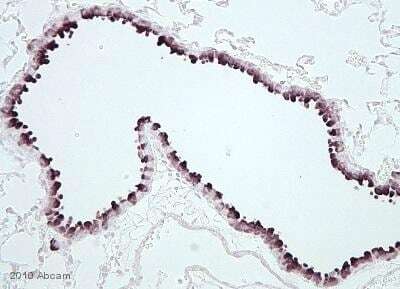 Clara cells (nonciliated cells of the surface epithelium of the pulmonary airways). Belongs to the secretoglobin family. Adult mouse lung was embedded in paraffin and stained with ab40873 (1:1600 dilution). ab40873 at 1/1600 dilution staining Uteroglobin in mouse embryo tissue section by Immunohistochemistry (Frozen sections). Frozen tissue slides were fixed in 4% paraformaldehyde and antigen retrieval was performed for 10 minutes in microwave oven in 0.01 M citrate buffer pH6. 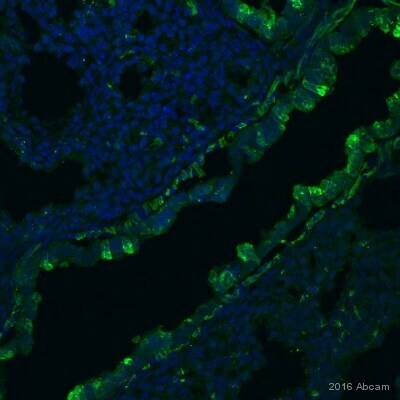 ab40873 stains green in proximal lung section from wild type mouse embryo as shown in image. 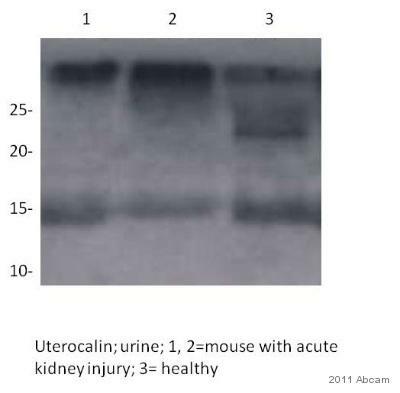 Western blot - Anti-Uteroglobin antibody (ab40873)This image is courtesy of an anonymous Abreview. 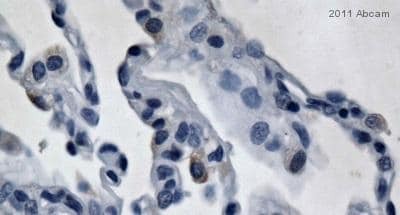 Immunohistochemistry (Formalin/PFA-fixed paraffin-embedded sections) - Anti-Uteroglobin antibody (ab40873)Image courtesy of an anonymous Abreview. ab40873 staining Uteroglobin in human lung parenchyma tissue by Immunohistochemistry (Formalin/PFA-fixed paraffin-embedded sections). Tissue was fixed with formaldehyde and a heat mediated antigen retrieval step was performed using 10mM citrate buffer. Samples were then blocked with 1% BSA, 0.1% Triton-X/ PBS for 15 minutes at 18°C followed by incubation with the primary antibody at a 1/500 dilution for 16 hours at 4°C. An HRP-conjugated pig anti-rabbit polyclonal was used as secondary antibody at a 1/100 dilution.